Home/Healthcare/CBD Oil : What is it best used for? CBD is one of the most important cannabinoids extracted from the cannabis plant. It is popular for its use in remedies and ailments. It does not have mind-altering effects and works only for relieving pain. THC which is another cannabinoid from the cannabis plant is known to be psychoactive having similar properties like marijuana. CBD Oil is made by using any carrier oil such as coconut oil for dilution. CBD oil is known for its properties of treating chronic pain diseases which are also backed by scientific evidence. Pain relief is essential to those suffering from it continuously. CBD oil makes it possible for such sufferers to live a healthy life without any pain suffering. There are certain components in CBD that work to relieve pain by having an impact on the endocannabinoid activity in the body. The neurotransmitters in the body are produced as endocannabinoids which bind to the cannabinoids received by the nervous system. CBD reduces the sensations of pain significantly through this activity. However, the combination of CBD with THC has more effective and impactful properties for relieving pain. 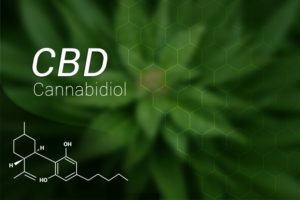 CBD is the chemical compound known for its ailing properties and it may be helpful for you in many ways. Scientists have carried out various experiments for proving that CBD is useful as a pain reliever. It helps relieve chronic pain as well by interacting with neurotransmitters. An oral spray containing both the compounds CBD and THC is approved for human use as it can help in getting rid of the pain. Arthritis pain is known to get relieved with it as well. CBD oil has positive effects on the body which helps fight Depression and Anxiety. Anxiety disorders may be troublesome in an individual’s life together with depression which again accounts for several disabilities. CBD is not known to be addictive which marks it safe for human use without posing any risks for health. Anxiety disorders are usually treated with the help of medical drugs which may have side effects in form of sexual dysfunction, headache, insomnia, drowsiness, and agitation. 600mg of CBD dose was given to people with anxiety disorder before speaking publicly. The study proved that people given CBD shots had less anxiety than the ones who were not given CBD. It is known to regulate mood and reduce depression by interacting with serotonin. CBD can help wave off the symptoms of cancer like nausea and pain. CBD and THC both worked to reduce pain in cancer patients who were not even able to find a cure through medicines. The anti-cancer properties make the compound worth a lot as treatments become expensive with other drugs. A compound that helps the heart to perform well can be termed as effective in many terms. CBD is known to lower blood pressure to improve the circulatory system. This way CBD also prevents conditions like Metabolic Syndrome which affects health badly. The powerful antioxidant properties of CBD helps reduce inflammation and dying of old cells to decrease the risk of heart stroke. Studies on mice and rate have shown that CBD played a role in preventing heart damage in diabetic condition. Acne is a skin condition that people suffer from if there are issues internally in the body. Several factors account for acne such as genes, bacteria, oil glands producing excess sebum, or inflammation. CBD oil is known for its anti-inflammatory properties which helps treat acne. Evidence has proved that CBD is helpful in letting people quit smoking. This was done by cutting off cravings for nicotine through CBD inhalers CBD is becoming a promising treatment therapy for addiction disorders. However, CBD itself is not addictive in nature as it helps with several conditions and disorders in the body. It has been seen to reduce anxiety, insomnia, and pain which is a good sign. Neuropsychiatric disorders are the most difficult to deal with common medicines as they don’t treat the symptoms altogether but can provide temporary relief only. CBD based products may treat various complications resulting from neurological disorders. CBD is believed to have effects on the neurological system through endocannabinoids as it signals the brain to react certainly. It is known to improve sleep and well being for people suffering from Parkinson’s disease. It may also help patients with Alzheimer’s disease as it improves brain activity in several ways. A study published in the Current Pharmaceutical Design stated that CBD has similar properties to that of various anti-psychotic medicines. The treatment is safe and very effective in many terms as it does not pose any serious risks for health. Neurotherapeutics have found the compound useful for anxiety as it manipulates the brain and its transmitters to react well. Alzheimer’s disease is known for behavioral problems among patients as their memory gets weaker with time. CBD is able to prevent deficits of social recognition of patients in an early stage. Alzheimer’s disease is known for behavioral problems among patients as their memory gets weaker with time. CBD is able to prevent deficits of social recognition of patients in an early stage. It slows down the progression of various diseases for better well-being. CBD was approved to treat two complex conditions of Epilepsy through Epidiolex as it was effective in reducing the symptoms. The year 2018 made its approval official as doctors can now prescribe epidiolex as a therapeutic drug. The two severe forms of epilepsy disease are known to be treated with CBD oil which is a plus point about it. This has made FDA approve its use as a medicine in such cases. The decision was made after clinical trials for which patients which will be able to receive a reliable dose. Not all forms of marijuana have been approved as there is still doubt about its safety for humans. CBD is often associated with marijuana, however, it is different in nature and does not cause abusive cases. It is legal in most of the states of America considering the potential benefits it serves us with. In the year 2018, FDA approved the use of CBD oil in form of epidiolex which is used for treating epilepsy. The recreational and medicinal properties of CBD has pushed it to become legal for use in the United States. Although the use of marijuana is still under debate as there is less evidence to prove that is harmless. CBD is legal for use as a hemp product which provides several medicinal benefits for the body. Different states have allowed different doses of CBD to be used in products considering its safety for humans. Also, different levels of prescription are required to be treated with CBD in some of the states. Only a local health provider can help determine the reliable source for CBD according to local laws. Although there are no significant side effects reported with CBD oil, it is restricted for use in high doses. Only doses prescribed are safe for treating a condition. However, some of the most common side effects include diarrhea and tiredness.